Nutritious shredded veggie soup! Who knows, it might give you a six-pack. This vegan soup is finished in just three easy steps, four if you include eating it. 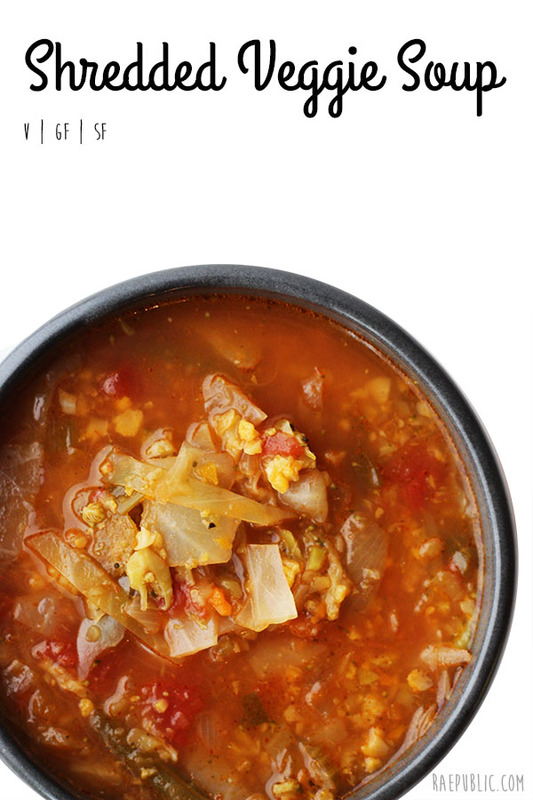 Aside from the spices, feel free to get creative with this plant-based soup recipe. I often throw in extra tidbits here and there, depending on what leftovers I have in the fridge. In other words, have fun! Looking for something delicious to have for dessert? Try out this vegan Peanut Butter Cookies! In a large pot, heat oil and onion and cook until onions are semi-translucent. Add water and vegetable bouillon and bring to a boil. Add all remaining ingredients and simmer for 20 minutes. Make sure to follow me on your favorite social media platforms and comment below if you're lovin' this vegan soup recipe!